The DNA vaccine candidate that was developed by the National Institute of Allergy and Infectious Diseases (NIAID) Vaccine Research Center showed promising results in animal trials and also in the first human trials, said NIAID director Dr. Anthony Fauci on April 7. The Vaccine Research Center moved to the next stage of their vaccine trials, as planned. To help with vaccine candidate testing, volunteers from the United States, Puerto Rico, Mexico and Brazil signed up for trials at clinics. 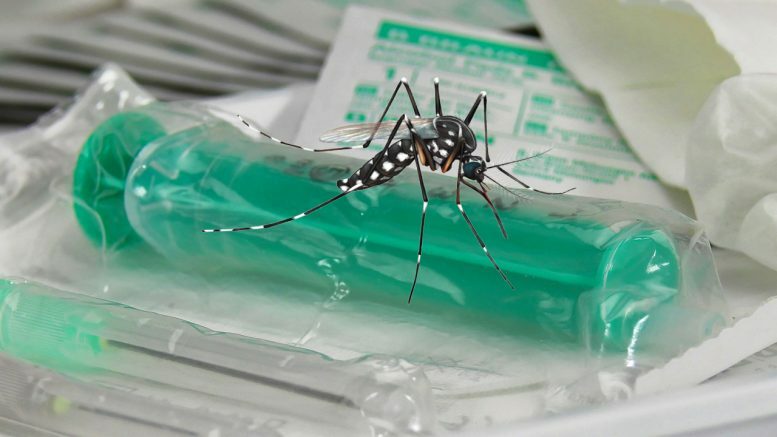 In order to test the safety of the possible anti-Zika vaccine, about 90 healthy adult volunteers will be divided into two groups and receive different dosages of the vaccine. In June this year, scientists are going to conduct a control trial with a placebo and the vaccine to see if the vaccine is effective. More than 2,000 healthy adults and adolescents who live in areas with a high prevalence of Zika virus will participate in the control trial. Zika causes heart issues and disorders that make the body’s immune system attack its nerves, which can cause death or paralysis. Many scientists around the world are trying to find better ways to diagnose Zika virus and find a vaccine that will be safe and effective for patients. Zika virus affects adults and children, but it is also dangerous to fetuses because of its link to improper head and brain development, including microcephaly and defects in hearing and vision. Women of child-bearing age will participate in the control trial to check for possible effects of the vaccine on that population, but the vaccine will not be tested in pregnant women to avoid any adverse effects on fetuses. One of Fauci’s goals is to develop a vaccine against the Zika virus that will keep children safe so when they grow up and have their own children, they will not pass on the virus during pregnancy. However, Fauci said that Zika will not be cured in the near future. The researchers report that the next phase of their study could be conducted by the end of 2017 if everything goes according to schedule. Unfortunately, the future of the next phase is not clear because of funding issues. The current phase of the study is completely funded, but the trial costs about $100 million. On the top of that, the Trump administration has proposed cutting the budget of the NIAID by 18%, and there is a possibility that this budget will get through Congress without changes. Francis Collins, director of the National Institutes of Health (NIH), will have a meeting with the President at the White House on April 14, but it is uncertain if they will discuss Zika, the vaccine, and its trials. The third phase of the Zika vaccine study is a very high priority for Fauci’s team, and he stated that they would keep the third phase of their study as one of their highest priorities. There is evidence of Zika in more than 80 countries, meaning that development of the vaccine is not only a nation-wide but an international issue. Be the first to comment on "Promising Vaccine Against the Zika Virus"